The subject of wood chips for smoking meat is sometimes made to complicated. 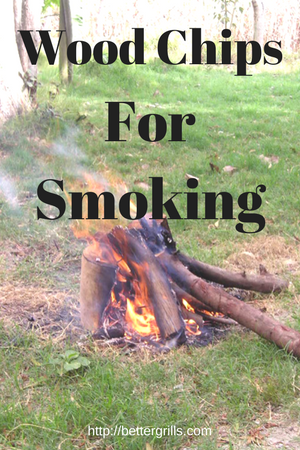 I have tried to make it a little easier and will tell you what I use and how I use the wood for smoking in my situation. Adding wood to your grill indirect, to your smoker box or in your electric smoker can improve the taste of your meat. There are several ways to add the smoke flavor to your meat and there are several types of wood that can be used. I have added the most used wood for you with tips on what kind of meat to use it. You have the option to use wood chips or wood chunks. Wood chips are better for shorter periods of smoking and wood chunks or logs, are better for longer smoke sessions and I use them on top of my charcoal briquettes. Since they are bigger and in that way last a little longer. After that you can read the whole more technical aspect of the use of wood chips for smoking and what it actually does to your meat. click ahead to jump ahead to learn more about the wood you like to use!! Let’s start with the two most used wood-chips I can think of and they are in my opinion also the most versatile and easiest to use for many types of meat. After that we look at all the best wood chips and chunks there are for smoking other types of meat. Use in: Red meat and wild game. Also used a lot for pork and fish. Oak might be called the king of wood for smoking since it is probably the most use wood for this. Can you imagine a brisket without the oak taste? 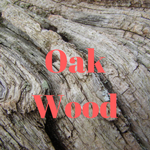 Click on the oak wood picture to see a nice price on Oak. > Hickory is more popular in the southern and Midwestern states, it gives a strong taste and flavor to our meat and that is why you should be a little careful not to make the smoke to dark by letting in more oxygen. Darker smoke is caused by less oxygen can make your meat taste bitter. 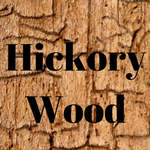 Click on the Hickory wood picture to see all hickory we could find online. Apple gives a mild flavor and add a taste of sweetness to the meat in my opinion. I like to use it for pork and especially for ham and poultry. 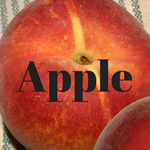 Click on the apple picture to see apple wood chips on Amazon. 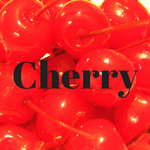 Cherry is great for pork and will add that mahogany color to your meat that we like to see. I like to mix this sometimes with some hickory and oak for a little stronger taste. 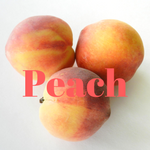 Click on the peach picture to see the price for peach wood chips. > Use in: Pork and to be hones it can be used in about any other meat like chicken, turkey and fish. The flavor is a little sweet but is great for the softer kind of meats. Click on the Cherry picture to see Cherry wood chips on Amazon. > Use in: Beef, fish, turkey, chicken and game meats like deer. Although I love the taste and flavor of Mesquite I do not use it for long smoking sessions myself. Reason is that I think that the taste is to strong. I use it for shorter session and many times even for just grilling. This kicks that nice mesquite taste in things like chicken and pork chops. Many restaurants use Mesquite because the oily way it burns. Burns very hot also. 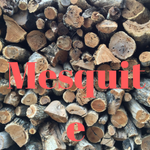 Click on the Mesquite picture to see mesquite wood chips on Amazon. > Use in: Steaks, pork, beef and briskets. The taste is very personal and some people like it and others don’t. It probably depends on what you expect of it. Give it a try and let us know in the comments. I have never used them before. 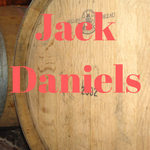 Click on the barrel picture to see Jack Daniels wood chips on Amazon. > Use in: Poultry or for making jerky in a dehydrator. This is also a wood I have never used. I read that you should prevent the wood form catching fire since this will give a bitter taste to the meat. Have you ever used it? Share your experience with us in the comments please. I am curious on how this taste in a smoker. 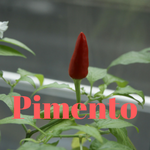 Click on the Pimento picture to see Pimento wood chips on Amazon. Simply put smoke is made by burning wood and wood is the origin of barbecue and grilling. At first logs were used to do this. The result was that the heat of the logs cooked the meat while the smoke from the wood and the drippings of the meat gave that smell and taste to our meat that we like so much. To understand what and how smoke makes our meat taste so good we have to dig a little deeper in the science of smoke. Nowadays most smokers and grills use charcoal, gas or electricity for heat production and then wood is added to get the flavor and aroma we like so much. I probably missed a few but you get the big picture. Some of the real adventurers under use even use dried herbs and even tea to make smoke. Smoke can of course also come from the meat drippings that contain fat, spices, sugars and many other ingredients that we use for instance in our marinades. The best wood for smoking comes from hardwood trees and this also includes fruit and nut trees. The wood has a very compact cell structure and this makes it burn slower and produce more smoke. Soft wood like pine, redwood and cypress are called coniferous and their cell structure is not as compact as hardwood is. This makes them burn faster and thus not recommended for smoking. If you cut wood it contains a lot of water and this can be up to 50% of the weight. If you use this it will produce just a lot of steam and there will be not a lot of flavor distributed to the meat. Plus, to burn wet wood cost a lot more energy from you charcoal or gas to dry it out. This makes it a logical choice that hardwood has to be air dried before we use it on our grill or smoker. Totally dry hardwood does no exist. There will be about 5% water left most of the time. The wood will beside the 5% water roughly contain of 40% cellulose, 20% lignin, 40% hemicellulose and about 1% minerals. What happens when we burn wood? Wood can produce up to 8500 BTU per pound if burned in a controlled environment like a lab. 50% changes into carbon dioxide and about 50% to water vapors. Wood does not burn evenly because of the difference in airspace in between and the density of the wood cells. There are roughly 100 compounds in smoke. Yes, you read that well. Some of them are microscopic and include things like creosote and ashes. Others are in the form of gases and some of them are carbon monoxide, nitric oxide and syringol. The third ones are in the form of liquids and some of them are water, oil. The main component that gives the smoke taste is syringol (https://en.wikipedia.org/wiki/Syringol)and a substance called guiaol (https://en.wikipedia.org/wiki/Guaiol). There are 4 stages in wood burning that can all happen at the same time if things go right. The combustion begins and the wood start to make flammable gases. Flame starting to appear and there are more gases formed. This part is important since it also produces the nitric oxide that we need to make the smoke ring we all like to see on our meat. Most of the wood is burned and all that is left is carbon that only burns but not creates any smoke anymore. You can see that all these four stages of wood burning will probably all take place at the same time in our smoker or grill. This is a subject where a lot is written about and the opinions are divided. Here you can read my explanation. Gas and there is no difference in natural or propane gas grills will mainly produce water vapors and carbon dioxide and monoxide when it is burned. This leaves not a lot of choice then to add wood to get some flavor in our meat. Electric grills are nothing more than a glowing piece of metal coil that produces heat. There is no combustion or even flames. This means that adding wood and the lack of combustion does not give too much flavor to our meat. Charcoal is nothing else then almost 100% carbon and is made from wood that is burned in an oven with just a little oxygen. When charcoal grills burns charcoal it produces a lot of products during the combustion and although it is not as much as wood it is the best heat source for smokers in my opinion. A gas heat source in combination with wood chips will produce a meat color that is a lot lighter than a charcoal heat source. The color of what is called the barks is very much determined by the used heat source in our smoker. Darker is charcoal and lighter is propane or natural gas. How much smoke and how dark should the color be? Although the color of the smoke can go from black to almost white it is my personal experience that a light almost invisible smoke will give the best smoke and flavor to your meat. Black or darker colored smoke most of the time appears when there is not enough oxygen. This can make the meat taste bitter and I personally try to avoid this as much as I can. Many beginners are fretting over their wood burning instead of smoldering. Don’t worry about it and just shut the oxygen vent for a while and the flames will disappear and the wood will start to produce the smoke you like to see. There is no right or wrong way in using a smoker as long as you keep it all under control. Many people are trying to keep the temperature as stable as possible and although this is a good idea it is slowly turning into an obsession. Our grandfathers did not have the fancy thermometers we have nowadays and were able to cook and smoke some killer meat on their smokers. Our grandmothers did not have fancy electronic controlled ovens in their kitchen and cooked some great meals in it. Temperature is important but it will always fluctuate and in my opinion it just has to stay within a certain range throughout the whole smoke process that most of the time takes hours and hours. If you are into the perfect temperature you should have a look at the pellet smokers we reviewed. It is important to use the indirect method for smoking if you do not have a fire box on the outside. The fire and wood chips are on the side of the smoker and the meat on the other side. Start with lighting you charcoal. Who knows me, also knows that I uses a Weber chimney starter for that and no lighter fluid. Let the charcoal burn till the grill is on the temperature you would like to have it. Most of the time I like to smoke on temperatures between 225 and 250 degrees Fahrenheit. After you reached the temperature and the charcoal is covered with white ash you can add the wood to the charcoal and add more charcoal. Make sure like I mentioned before to use dry wood!! You can user chips or chunks depending on your own preference. Or even a combination of both. I like to use indirect grilling a lot and place my wood on the side. The temperature might go up when you add the wood and don’t worry about that. The meat is still cold and can handle a higher temperature easily. The wood might catch fire but don’t worry about that it will start to smolder as soon as the oxygen level goes down again. Add charcoal and wood chips or chunks throughout the cooking but remember not to open the lid too much. The rule is still that when you looking you are not cooking. I am using charcoal briquettes for my smoker since they don’t burn so fast as regular or lump charcoal. I believe they also give a more steady temperature. Use quality thermometer to control the temperature in you smoker and if you like in your meat. This is in my opinion important but like I mentioned before do not get obsessed over temperature fluctuations. They will happen! Read our digital probe thermometer reviews here. I already wrote that you should use hardwood for smoking but it is time to give some general tips on what wood to use for what meat. In general there are 3 type of wood. We have to match the wood with the meat. You use mild woods like from fruit trees for the more delicate meats like fish and chicken or smoke vegetables. Moderate woods like Maple, Oak and Pecan for pork, poultry and beef like ribs. Strong wood is for example mesquite. This should be for strong meats like some beef recipes and lamb. My recommendation is not to use an electric grill for smoking. The result is not good compared to a charcoal grill which I think is the best to use for smoking meat with wood chips or wood chunks. Here is a video from one of my favorite pit masters that gives a nice explanation about the wood he likes to use. I hope this article that by the way got a little longer than I originally planned on, gave you a little more insight in what wood-chips for smoking are and how you can use them for cooking some great meat. Still have not found what you are looking for? Have a look at these Amazon wood chips for smoking. 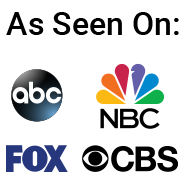 You can find the propane gas grill reviews by going to our home page and start looking for the best grill reviews for your way of grilling.